More than a mere toy…. We have been busy here at Taylor-Made Deep Creek Vacations & Sales getting ready for another exciting and busy summer season. Our house inspectors have been spending extra time in the homes making sure that deep cleans are being done, lawns are manicured, grills are ready, basically ensuring that the home is in tip top shape for our summer guests. All of our docks are in so if you are able to sneak away for a quick trip, now is the perfect time to do so! Don’t forget that we are the experts when it comes to helping you find that perfect Deep Creek or Vacation home! Give us a call at 1-866-351-1119 or go online at www.deepcreekvacations.com. 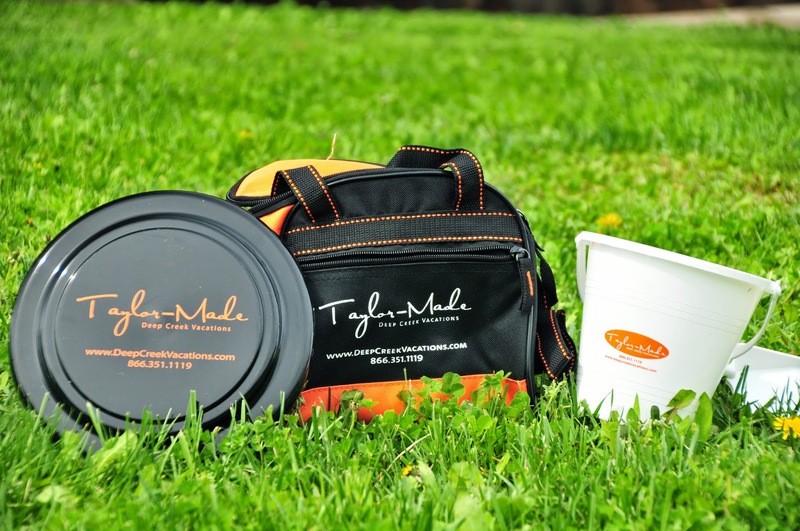 Taylor-Made recently obtained a new “toy” that is causing a great deal of excitement! When I first heard that we were anxiously awaiting the arrival of our new Phantom 2 Vision, I was less than impressed. It sounded like some geeky tech toy that didn’t pertain to me. However, when it did show up, my thoughts changed quickly. This “Drone” is essentially a jazzy remote control airplane but much more technically advanced. Did I mention that it also looks really cool (It has lights that blink around the bottom!)? With 4 propellers it can quickly take flight. This is when you take advantage of the new built in HD video camera! Here you are able to take some amazing videos or still shots. 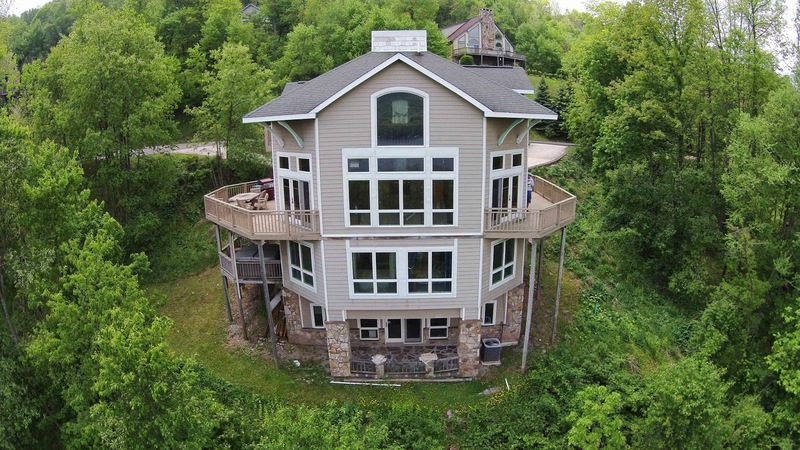 You have found the perfect Deep Creek home but are curious about how close your neighbors are or what kind of distance you have to reach your lake access dock slip? Now we can provide you with that video option. When you stop in to see Jay about helping you buy your Deep Creek home he can give all of this additional information! (Just a reminder, Jay Ferguson is our Taylor-Made Deep Vacations & Sales realtor and your “go to” when it comes to buying or selling property in Garrett County!) We recently were able to take the drone up to ASCI (The Adventure Sports Center International and the venue for the ICF Canoe/ Slalom World Championships!) to video Team USA practicing on the course. I have included some photos that were recently taken by our Phantom 2 Vision and the results are pretty amazing! Now, I understand the excitement! Don’t forget that next weekend is the McHenry Highland Festival of Mountain Maryland! Come took base with Scottish Roots for this family friendly festival held on Saturday the 7th at the Fairgrounds! A great time to experience the lake and one of our annual festivals! http://www.highlandfest.info/index.html. We can’t wait to see you at the lake! Guests that were fortunate enough to visit Deep Creek Lake over the Memorial Day weekend were blessed with some amazing weather. Bright blue skies and lots of sunshine made for playing on the lake ideal. Last week was an exciting week here in McHenry as we welcomed Team USA back to ASCI as they spent the week training! 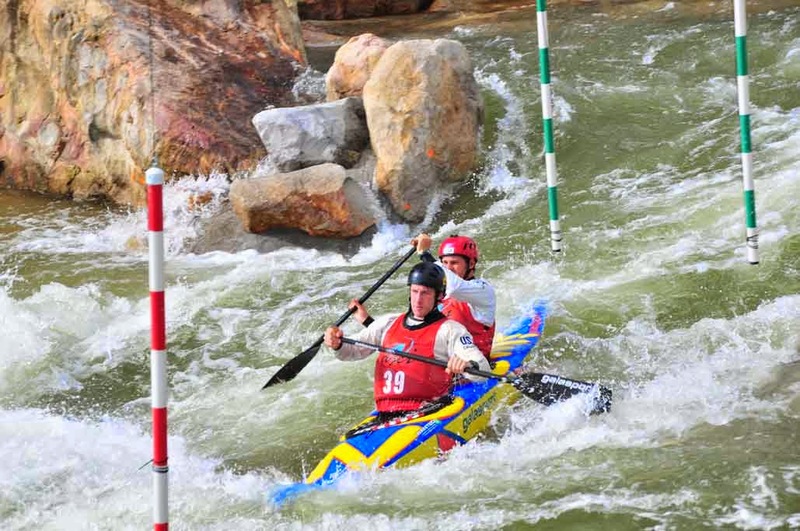 It was fun to watch these superb athletes use their sheer skills and dedication to tackle the man-made white water rafting course which will also be the venue for the ICF Canoe Slalom World Championships that are being held here September 17th-21st (Look for more blogs to come on this super exciting event! www.deepcreek2014.com) As always, it was nice to see our sponsored athlete, Casey Eichfeld, who took a few minutes to stop by and say Hello! He along with the rest of team are now over in London getting ready to compete in the World Cup Circuit for the United States! Of course, we wish him the best of luck and a safe trip! So, Memorial Day is over and you didn’t get a chance to escape to the mountains? This weekend (June 6th) is the perfect time to plan that Mountain getaway. Taylor-Made Deep Creek Vacations & Sales is waiting to help you find that premiere Deep Creek home! (1-866-351-1119 or online www.deepcreekvacations.com) This weekend you also get the added bonus of enjoying one of Deep Creek’s annual festivals, The McHenry Highland Festival of Mountain Maryland! Held at the Garrett County Fairgrounds here in McHenry, you can let yourself be transformed back in time where the traditions of Highland music, games, and dance come alive! Visit the Clan tents and Celtic vendors. Kiss the highland cattle, watch the collies herd sheep, or pat an Irish Wolfhound. This family fun Celtic celebration is perfect for the young and young at heart! This all day event begins at 10 am Saturday where you’ll hear the skirl of the pipes and Celtic music, see traditional athletic games, and watch Irish line and Scottish country dancing. Vendors will be selling such items as handcrafted Celtic jewelry, pottery, artifacts, stained glass, handmade wool rugs and clothes, art prints, and wrought iron. Learn more about your clan history at The Glen. Check out the Celtic dogsborder collies herding sheet, and Highland livestock. Enjoy a variety of food, including Scottish deli items, shortbread, and, of course, sausages, hamburgers, hot dogs, sandwiches, and fries. For more information on this festival, go to their website http://www.highlandfest.info/index.html. Definitely worth checking out! Summertime at Deep Creek is definitely the place to be! Have you planned your stay? We can’t wait to see you at the lake! Fun For the Kid’s @ Deep Creek Lake! Taylor-Made Deep Creek Vacations & Sales is excited to say that they are continuing to offer our Deep Creek Adventurer Package for children this summer! Ideal for children 12 and under, it is a package designed to show the kiddos in the family all of the fun activities Deep Creek has to offer. Designed to come in a small canvas lunch bag, inside the kid’s will find a treasure of goodies. A bucket/ pail is perfect for days spent on the sandy shores of Deep Creek Lake State Park! Here they will also find their “Pass Port” book along with a map of all of the participating vendors in the area. They simply go to the establishment (For example, Funland Arcade) take their pass port in and asked to have it stamped. Once they collect 4 stamps, they can return their pass port for a Taylor-Made Deep Creek Vacations Frisbee. If they collect 8 stamps and bring that it in, we will enter their name into a drawing for a free IPad Mini. This drawing is scheduled to be held on September 3rd, 2014. Violet & Poe playing on our yard! The package also includes some great discounts and freebies such as a Free Kid’s Sundae with the purchase of a Kid’s Meal from Dutch’s at Silver Tree or 10% a kid’s toy at Bear Creek Trader’s. The kicker in this package is that it is only $5! Add it before your reservation and we will have it waiting at the home for you upon your arrival! 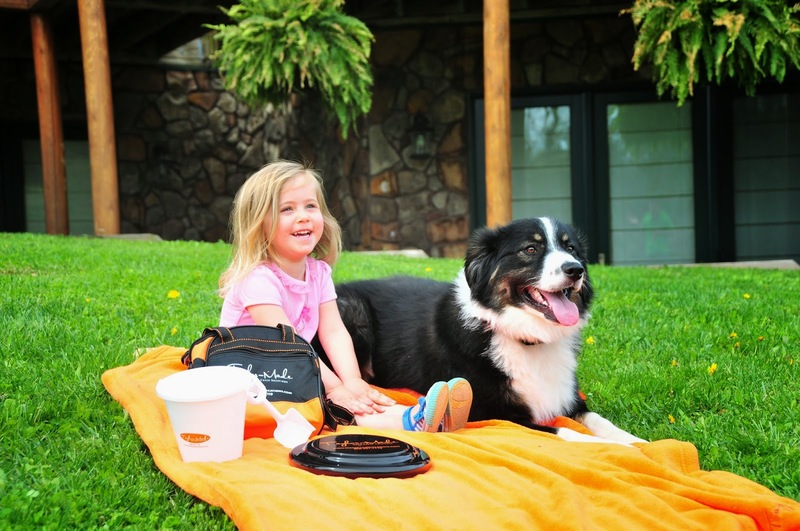 Can you imagine how excited the kids would be to start their Deep Creek vacation with a Deep Creek Adventurer Pack? 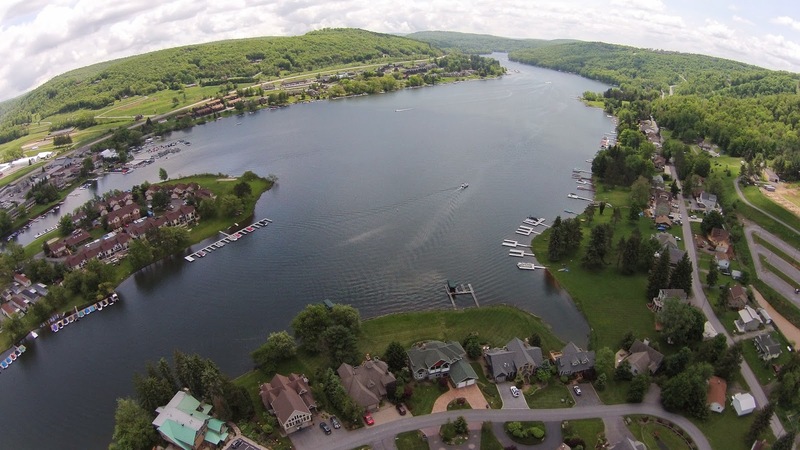 If you are new to the area, this will help you plan some activities to do while you are visiting (Of course, we will happily make suggestions of some of our favorite things to see and do around Deep Creek Lake at any time!) Forgot to add it before your arrival, stop in to our office and pick yours up. We will also be offering these at the Welcome Party Mondays held each summer on the lakefront of Uno’s &The Honi-Honi) It really is a fun and neat package for the kid’s and the cooler lunch bag makes a great souvenir as well. Have you finalized your plans for Memorial Day weekend yet? We are currently offering “3 Nights for the Price of 2!” for this weekend so it’s a perfect time to take advantage. The docks are in and the marinas are ready! Don’t you want to spend the day with family and friends buzzing around the lake? Grilling out on your deck which offers stunning lake views? Capturing phenomenal sunsets from your private dock? We thought so! Give us a call here at Taylor-Made Deep Creek Vacation & Sales (1-866-351-1119 or online www.deepcreekvacations.com) and let us help you find that perfect Deep Creek or Vacation Rental home! We can’t wait to see you at the lake! Exciting New Things Are Happening @ Deep Creek! The view from my window today is telling me that this is the kind of Deep Creek day that really makes you want to play hooky. Bright blue skies, lots of sunshine and the temps are running into the mid 70’s, basically a perfect spring day! Things have been busy here at Taylor-Made Deep Creek Vacations & Sales as we are gearing up for another busy yet successful summer season. Have you finalized your Memorial Day plans yet? Call now to take advantage of our “Reserve 3 nights for the price of 2” special that we are offering (1-866-351-1119 or online www.deepcreekvacations.com) Boating around the lake, bonfires at night, golfing @ Lodestone or Wisp, hiking at one of the many state parks; I can think of no better way to kick off the summer season with any of these choices. Throw in a free night and this seems that a brilliant plan! Pick up the phone, it’s that easy. TMDCV made a big splash earlier this month when they announced that they were starting a Real Estate company! Yes, it’s true. We are now officially Taylor-Made Deep Creek Vacation Rentals & Sales; Jay Ferguson, a local real estate agent has partnered up with Taylor-Made for this new and exciting endeavor. Jay grew up in Garrett County which gives him a vast knowledge of not only Deep Creek but the entire region as well. Jay started his career at Long & Foster Real Estate in 2000 and won the “Rookie of the Year” award. Jay’s dedication and determination was evident when he became a member of the coveted Gold Team (annual sales of 5+ million dollars) and continued this every year thereafter. In his last year at Long & Foster, he earned the Hall of Fame designation. In 2010, he moved to Railey Sales where he continued to provide outstanding service to those looking to buy or sell their homes. Recently, he earned the title of the #1 sales agent in Garrett County and the Deep Creek Lake area for the first quarter of 2014. By bringing these two companies together, our Taylor-Made team is able to provide our clients with a one stop shop for all their property service needs. Your home is on the market and a potential buyer comes into the area at the last minute. The lawn needs maintained or the interior needs a housekeeping face lift. No need to call frantically around looking for an outside vendor who is available right away. Our property service are available 7 days a week if needed. Providing the best customer service and quality that goes above and beyond is important to Jay and all of the Taylor-Made team. Jay currently resides in Oakland with his wife Jessica, daughter Kayleah, and son Noah. So, if you are considering buying or selling a home or property in our area contact Jay by calling him at 301-501-0420. Welcome aboard, Jay! We are excited to have you as part of the team! Meanwhile, as always, we are here eagerly waiting to help you plan that perfect Deep Creek vacation. We can’t wait to see you at the lake!